The North Carolina Zoo Society is the private, nonprofit organization that engenders public support for mission-directed programs undertaken by the North Carolina Zoo. These programs, which invest in the health and well-being of the Zoo's animals, the conservation of rare and endangered species, the education of Zoo visitors and the provision of nature-based recreational opportunties, improve the lives of people by strengthening their understanding of the living world and empowering them to \protect the economic, spiritual, and health benefits that spring from nature's bounty. Please use the form below to make a donation to support the North Carolina Zoo program of your choice. Thank you for helping the Zoo continue to grow and progress as a world leader in animal well being, science education, wildlife conservation, and family recreation. Now, more than ever, the Zoo is relying on the North Carolina Zoo Society to secure donations that will ensure the completion of the first stage of the most significant expansion plan in the Zoo’s history. This plan will add Asian, Australian, and South American habitats to the Zoo. Already, the Asian expansion is underway and will soon bring Tigers, Komodo Dragons, Red Pandas, and other wildlife under the Zoo’s care. These additions, too, will empower Zoo staff to go into the field to help protect these animals in the wild. Like any large and complex organization, the Zoo has competing needs that change from time to time. Emergencies happen, unexpected opportunities arise, equipment fails, innovative ideas take shape, times change, and prices fluctuate. Empowering the Zoo's trusted leaders to wisely manage these challenges is the only way to keep the Zoo healthy and its programs thriving. 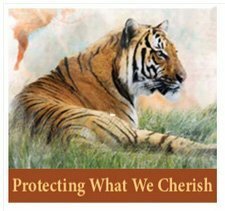 By allowing the Zoo to use your donation where it will do the most good, you help ensure that the Zoo can stand ready to protect wildlife and nature, maintain its facilities, and improve its programming. The Zoo’s plants define the animals’ habitats, beautify the landscape, buffer the exhibits, provide shelter and shade for animals and visitors, and create a setting that seems more like a park than a zoo. These plants, and the Zoo’s endangered plant programs and greenhouses, depend on Zoo Society donors and supporters to fund their needs. These efforts expand the Zoo’s educational impact through a visiting artist program and the development and maintenance of one of the state’s most valuable and vast public art collections. To date, private donations to the NC Zoo Society have installed public art works valued at more than $2 million.